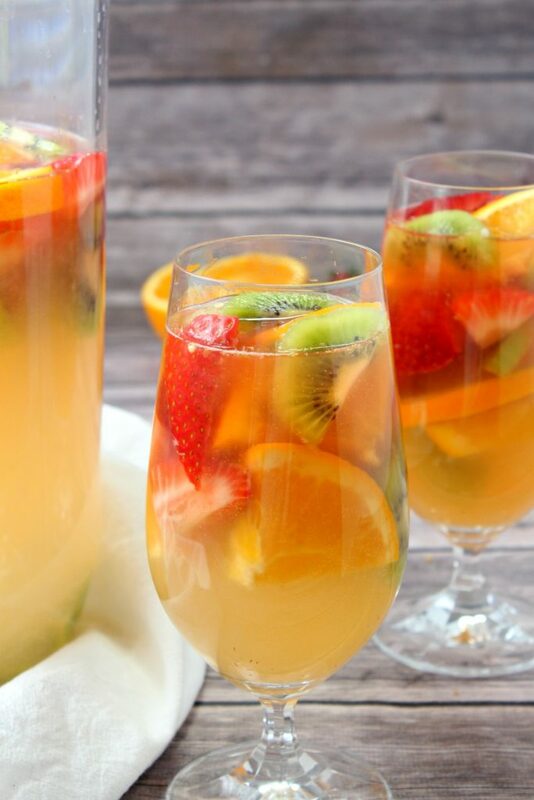 A dreamy Southern cocktail, this Tropical White Wine Sangria is a bit of Summer in every single sip. A cool mix of white wine, rum, pineapple and orange juice, & freshly sliced fruit- this drink is the adult beverage you’ve long been looking for. 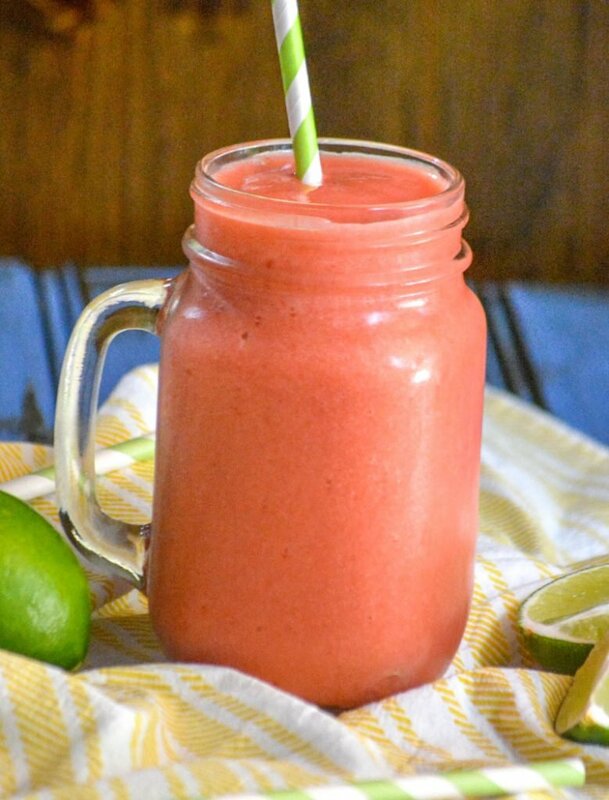 Beat the heat with a refreshing drink that was made for Summer sippin’. 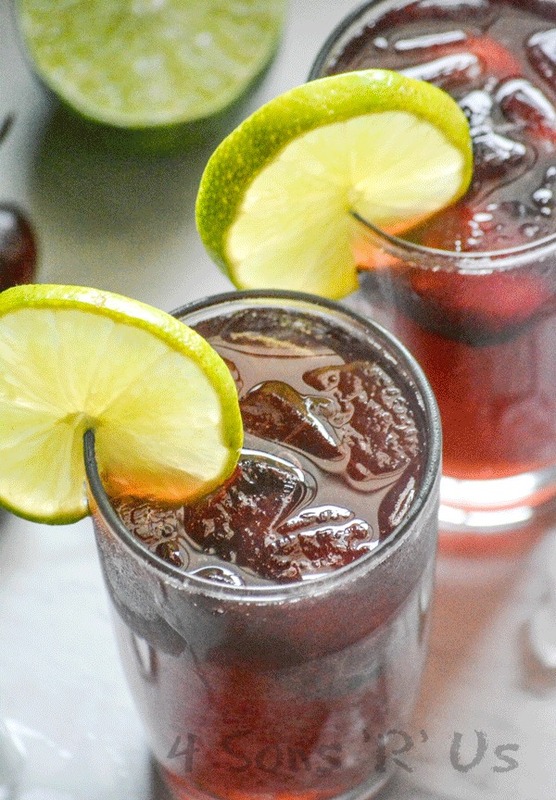 This Sweet Black Cherry Limeade is fizzy fun with the perfect blend of sweet cherries with a hint of lime. A yummy, sweet treat, this Frozen Snowball Punch makes a delicious beverage for any festive occasion. Packed with flavor and with only four ingredients, it’s a winter weather must-have. I have a problem. It’s a serious problem. There are days & times when I feel like it’s taking over my life. What is this problem you ask? I’m addicted to taking pictures of my kids. Seriously. Obsessed. I have memory cards upon memory cards full of their fresh little faces. My living room is flooded with photo albums, cataloging their accomplishments, their firsts, and everything in between. My walls are littered with my favorite shots of them. I just can’t help myself. What can I say? They’re my life’s work. That being said, there is one simple shot I have to get ever single summer. 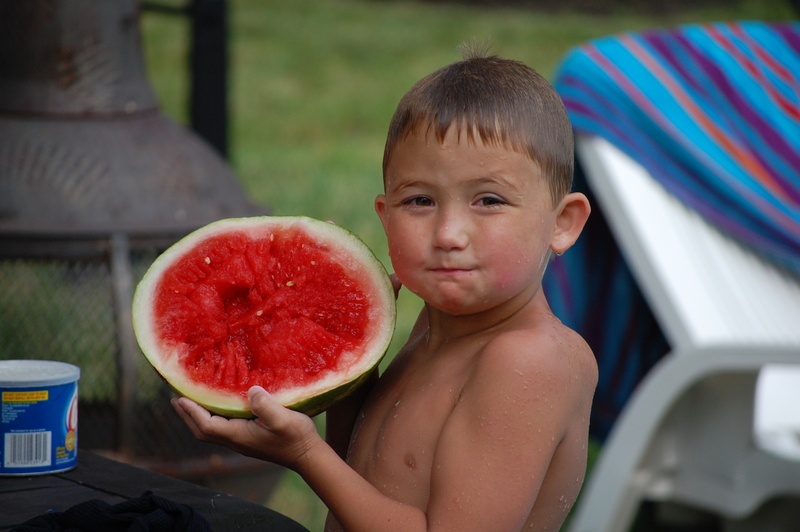 Every summer, I have to snap a pic of each boy relishing in a slice of watermelon as it’s glorious juices run down their little cheeks and chins. There’s nothing better on a hot summer day to quench their thirst, and the look of pure joy on their faces just melts my heart. It’s their warm weather ambrosia. 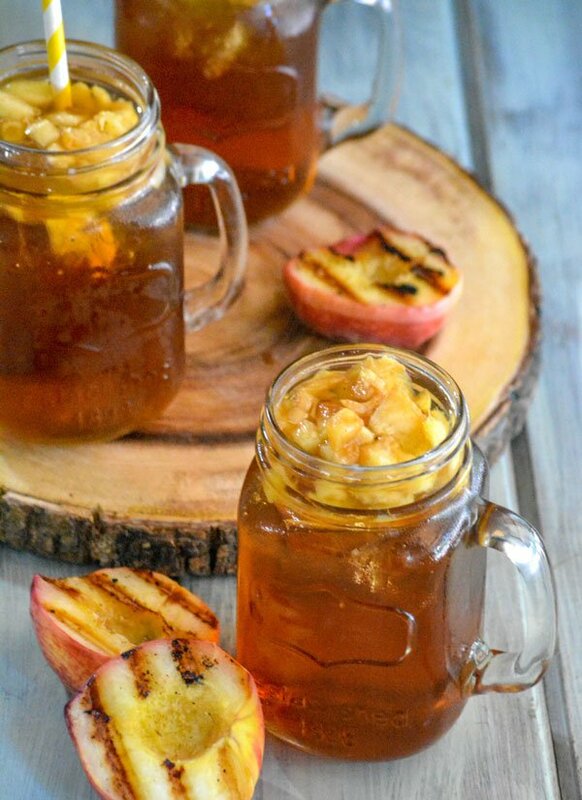 Knowing their infatuation with the stuff, it was inevitable that I’d try to branch out and see what I could come up with to do something a little ‘different’ with their favorite summer staple. Aaaaaand, watermelon slushies it was! 1. Cube watermelon and freeze on a metal cookie sheet. Remove the frozen cubes from the cookie sheet and put them into a ziploc-ing freezer bag to store in the freezer. 2. 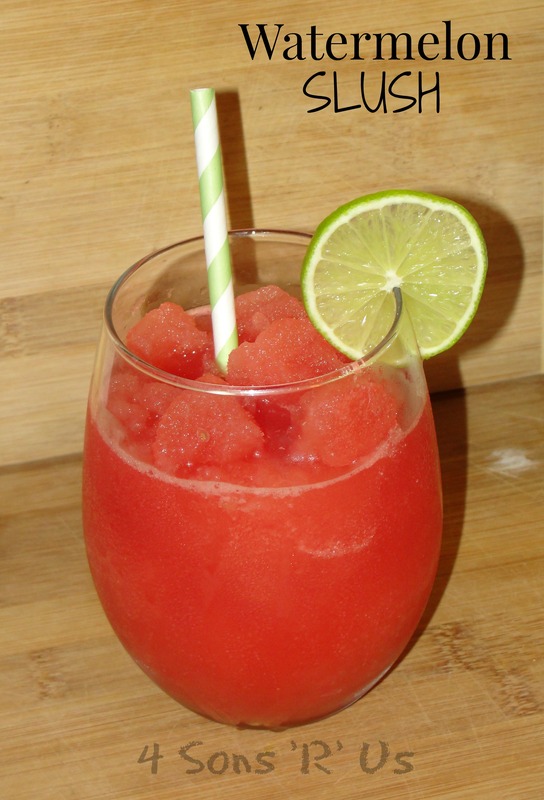 Remove 4 cups of watermelon cubes and place in a blender. Add in the lime juice, 1/2 cup water, and sugar, if using. Blend until desired consistency. Add more water if needed. 3. Pour into two glasses and, if you’re feelin’ fancy, garnish each glass with a slice of lime! It’s famous, it’s infamous, it’s notorious. 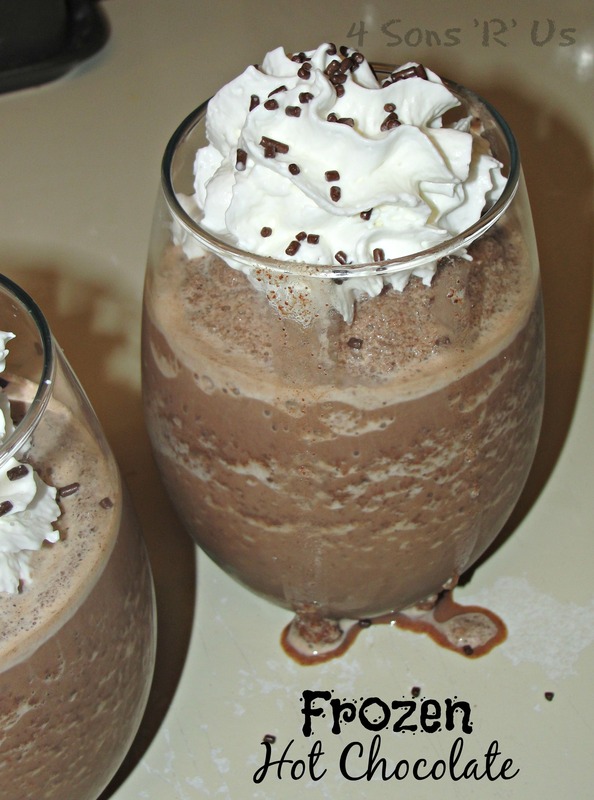 It has destroyed diets and led to love affairs from just a sip of it’s creamy, dreamy, icy blend of chocolatey goodness. Just one sip will make you want to blow bubbles through your straw like a child again. Never had a sip of Serendipity’s Frozen Hot Chocolate? You have got to find out what you’ve been missing!! And now, there’s no need to plan a trip all the way to NYC just for one glorious taste test. Hot Chocolate has always been a Winter weather staple for the sons, but now their minds have officially been blown. Hot chocolate flavor served up icy cold! It’s the perfect summer pick-me-up for a 90 degree day or any day really! 1. Chop chocolate into small pieces and melt in a glass container in microwave for 10-20 second intervals until melted. 2. Add in hot cocoa mix and sugar to melted chocolate. Mix until blended. 6. Pour into mugs and top with whipped cream and sprinkles.